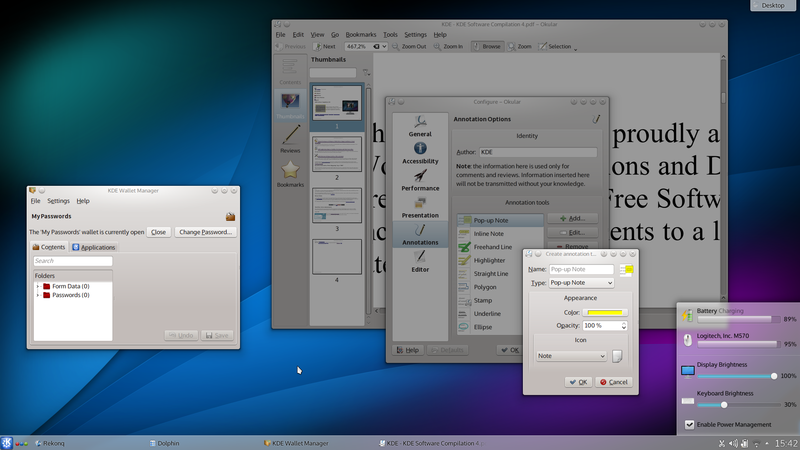 Today KDE released the beta of the new 4.11 versions of Workspaces, Applications, and Development Platform. With API, dependency and feature freezes in place, the KDE team’s focus is now on fixing bugs and further polishing. More improvements can be found in the 4.11 Feature Plan. With the large number of changes, the 4.11 releases need a thorough testing in order to maintain and improve the quality and user experience. Actual users are critical to maintaining high KDE quality, because developers simply cannot test every possible configuration. We’re counting on you to help find bugs early so they can be squashed before the final release. Please consider joining the 4.11 team by installing the beta and reporting any bugs.